Chamber members have the opportunity to receive big savings on workers compensation rates by participating in a group rating program provided by one of our third party providers. The Ohio Bureau of Workers Compensation (BWC) allows up to a maximum 53% discount for qualifying business participating in a group rating program. Chamber members have the opportunity to save an additional 4% through participation in the Highland-Fayette-Clinton Safety Council. Chamber members can receive a 2% discount by meeting all HFC Safety Council participation requirements, and an additional 2% in performance bonuses for reducing the frequency and severity of workplace accidents. 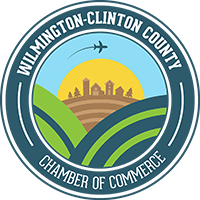 For more information about the HFC Safety Council, contact Clinton County Chamber of Commerce Executive Director, Dessie Rogers, at info@hfcsafetycouncil.com or (937) 382-2737. Why is it important to have a plan in place? You are required to have protocols in place should an occurrence happen. It’s also a smart idea. Save time and money by utilizing BWC’s Division of Safety and Hygiene free safety services to ensure that you and your staff have taken appropriate steps to make sure your office is compliant. Learn how you can directly contact the BWC here. BWC Learning Center At the BWC Learning Center, customers can gain information about BWC classes any hour of the day. Go to the new BWC Learning Center to register. Once on the site, first-time users should click Register and follow the directions. Then, you’re free to explore the site at your convenience. If you have an e-mail address, you will receive immediate enrollment confirmation. BWC Library Services The BWC Library provides free informational services on occupational safety and health, workers’ compensation and rehabilitation. Our experienced librarians can locate the hard-to-find information and provide accurate answers to your questions timely. Training resources – content, effective training methods, outlines, PowerPoints, videos, etc. Annual Safety Congress The Ohio Safety Congress & Expo is one of the finest occupational safety and health events in the Midwest. The event offers dynamic keynote speakers, a variety of educational sessions and displays of occupational safety and health products. Free registration makes Safety Congress a valuable tool for your injury prevention program. Reduce training costs for you and your employees. Earn free CEUs for accreditation and BWC discount programs. Save on registration fees and out-of-state travel expenses. Fewer injuries mean lower workers’ compensation costs. Choose from 150 educational sessions to help your business save lives and save money. Subscribe To Our Newsletter! Join our mailing list to receive the latest news and updates from our team.